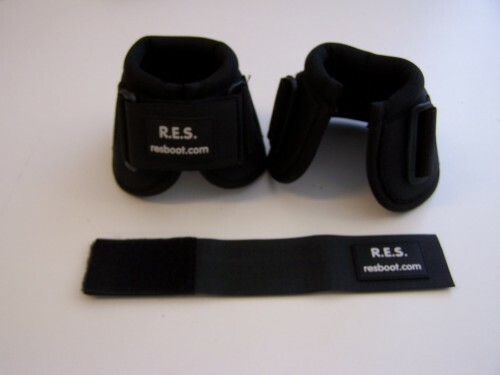 Home » Equipment » RES Equine Products Inc.
* RES Bell boots are available in black and include a black Velcro closure device. Our Replacement Velcro closure provides secure placement that is interchangeable, adding unique color and function ability to your bell boots. No need to throw away your bell boots when your Velcro is worn out or torn; just easily replace it. * R.E.S. “True Splint boots”, are available in black and white. Each splint boot includes two matching Velcro closer devices. Our splints offer side impact protection, and will fit securely. 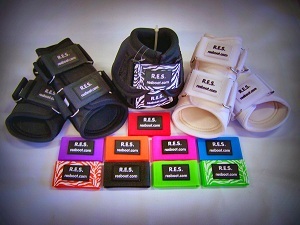 Colored replacement velcro is interchangeable adding unique style to your leg protection. 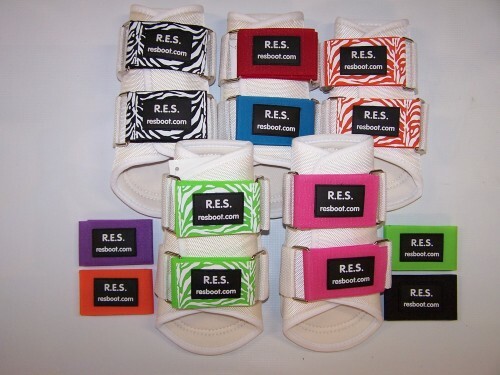 * RES replacement closures come in a variety of colors. Mix and match colors to create your own style. -Solid Colors: Blue, Pink, Red, Orange, Lime Green, Purple & Black. -Zebra Print: Black & White Zebra, Orange Zebra, & Lime Green Zebra. -Oversized: “Black only” – Allows one extra inch of extension. We offer personalized replacement closures with your organization’s name or brand. Minimum orders, call for details and pricing. * RES Sport boots provide necessary suspensory support. Your horse’s performance is reliant upon proper equine protection to avoid potential injuries such as pulling tendons or ligaments.